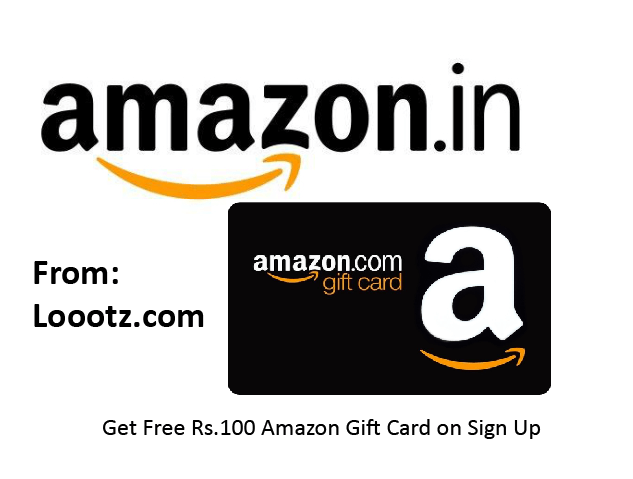 Get Rs 100 Cashback on Purchasing any product worth more than Rs 300 from Amazon. This Loot offer is valid for the new users and applied only through this Website. In this offer, you will get Rs 100 gift card on the purchase of any product which is worth more than Rs 300. So, here's the steps to follow to be eligible for this offer. Enter Shipping Address, Mobile Number, Email ID, etc. Now, Proceed to check out. Hurray...! Now, Wait up to 30 days to get Amazon Free Gift Card. Tip for the old users: Create a new account and Fill up the form with your new details. Do not fill all the same details as old account. Change every detail; address, mobile number, and an email id. The customer must place an order worth Rs. 300 (excluding shipping, handling, and gift-wrapping fees) or more on the Amazon.in. Purchases of Kindle ebooks and Amazon Gift Cards are not eligible. The customer must not cancel the earlier order to shipment and the order must not be returned or refunded. You will receive your Gift Card as an Amazon Gift Cards distributed by Qwikcilver ("Gift Card") via email within 30 days after the new Amazon.in order has shipped. You cannot use Gift Cards to buy new gift cards or to pay shipping, handling, taxes, or any other appropriate transaction values. Amazon may also define certain products that are ineligible for payment using Gift cards earned under these terms from time to time.